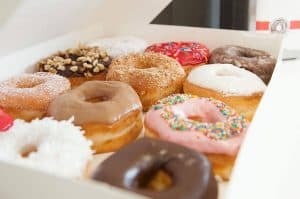 If you’ve recently enjoyed some Shipley Do-Nuts and have leftover donuts to spare, read on to learn the best ways to store the Shipley goodness for later enjoyment. With the right storage method, you can keep the freshness around for days. 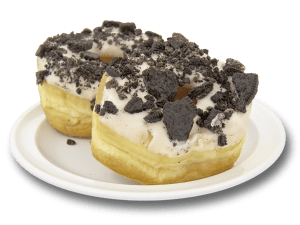 Are you planning on enjoying the Shipley Do-Nuts again soon or do you want to save them for a later date, like the weekend? Do they have an icing, glaze or toppings? Do they have a cream filling? “Okay, so…how long can they be kept fresh?” That depends on your storing method. If you’re planning on eating them within two days, you can totally store donuts at room temp. If you plan on enjoying the leftover donuts pretty soon, such as the next couple of mornings (And we don’t blame you. With donuts as good as Shipley’s it’s hard to wait too long) storing them on the counter might be best. Place the donuts in an airtight container away from direct sunlight. You can also place the airtight container in a bread box so they’re easily accessible for when that Shipley Do-Nut craving hits! Amazon has many stylish and vintage bread/donut boxes to fit any kitchen theme. How long will the donuts last? About 1-2 days. Leftover donuts are likely to go stale after that. What donut is this method best for? 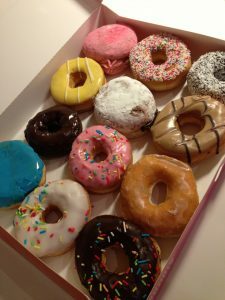 Counter storage is best for plain donuts, donuts with or without a glaze/icing, and unfilled donuts. Donuts filled with cream might spoil pretty fast, so it’s best not to leave them on the counter for too long. A few hours is okay if they’re fresh and you’re going to serve them soon, but not for much longer than that. Order the Freshest Donuts Around! 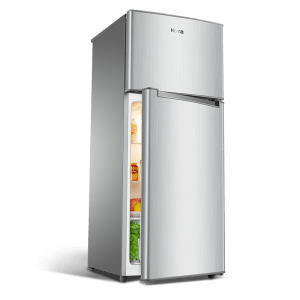 With the fridge method, you can keep the freshness going for about 5 days. Storing them in the fridge is the best method if you’d like to keep them a little longer than two days. Most plain and filled donuts will be fine wrapped in plastic or aluminum foil. If your Shipley Do-Nuts are heavily glazed or iced, make sure to place them on wax paper in a single layer to avoid any stickiness. Once you’re ready to enjoy them again, take them out of their wrappings and microwave them for around 10-second bursts to achieve your desired temp. How long with they last? About 5 days. Anything longer than that and things are bound to get a little sticky. What donut is this method best for? This method is best for all types of donuts, provided you use wax paper for glazed/iced donuts and store them in single layers. While a lot of donuts can be frozen, those with bacon should be enjoyed soon. If you’re wanting to store your donuts for a long while, maybe save them for a rainy day when you need a little pick-me-up, try storing them in the freezer. 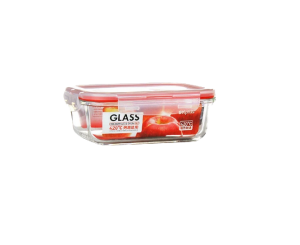 You can use plastic wrap, plastic bags or an airtight container. Just be sure to wrap the donuts tightly if you’re using plastic wrap or let out any air before closing plastic bags. To get them back to room temp you can leave them in an airtight container while they thaw, or reheat them in the microwave. Like the fridge method, it’s best to warm them up in bursts of heat to avoid overheating. How long with they last? About 6 months. What donut is this method best for? This method is best for plain donuts, some glazed, and iced. However, any donuts topped with bacon or cereal might get soggy in the freezer so it’s best to consume those pretty quickly. Have you been thinking about Do-Nuts from Shipley? Get Shipley Do-Nuts today! And now that you know how to store them, the sweetness can be enjoyed for days or even weeks to come! Just click on the button below to start your journey to flavor town! You can get them delivered, catered, or you can stop by our two locations and pick up your favorites today. Call (713) 589-3292 or click below to remind yourself Shipley makes your favorite donuts today!